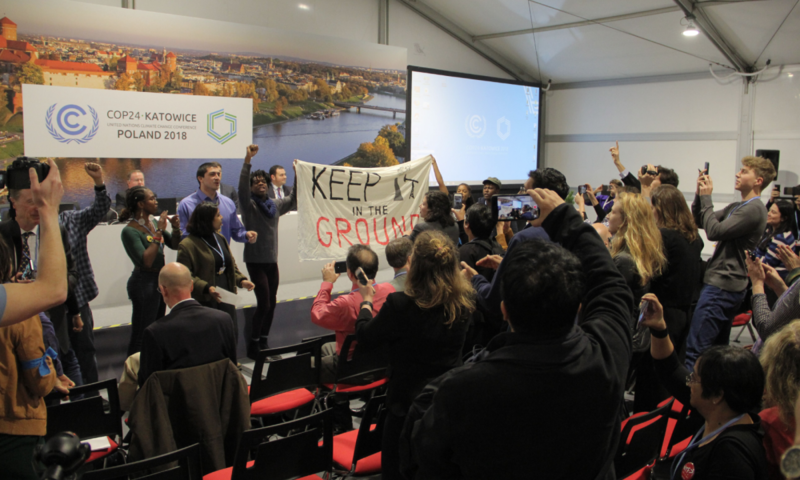 This was the second year in a row that U.S. officials attempted to host a side event promoting the use of fossil fuels, and the second year in a row that the event was interrupted by protesters. An event hosted by the Trump administration on Monday promoting innovation in coal and natural gas was disrupted by protests, as dozens of people turned out to rally against the United States government&apos;s continued embrace of fossil fuels. 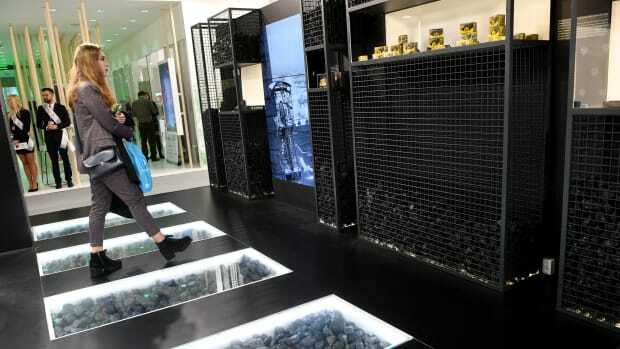 The event was scheduled just days after the U.S. Energy Information Administration announced that coal consumption has reached its lowest point in nearly four decades. 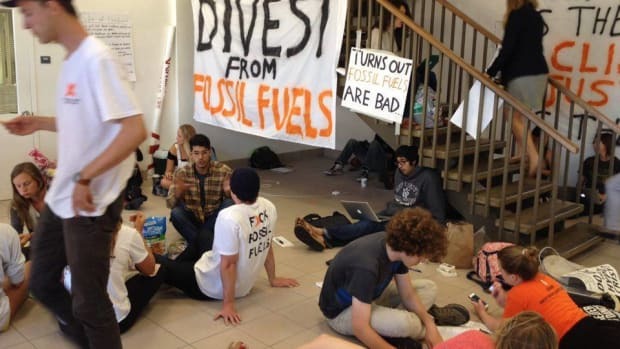 There was still a line of people waiting to get into the event when Wells Griffith, the principal deputy assistant secretary for international affairs at the Department of Energy, took the stage to say that "alarmism should not silence realism." 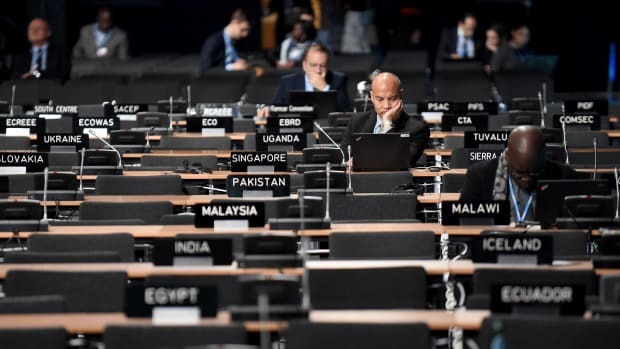 His comments were at odds with the U.N.&apos;s Intergovernmental Panel on Climate Change most recent report on the potential impacts of 1.5 degrees of warming in October, which climate advocates have pointed to throughout the conference to underscore the urgency of the negotiations taking place in Katowice, Poland, this month. Citing an International Energy Agency report, which found that global energy demand will increase by more than 25 percent in the next two decades, Griffith conceded that renewable energy will play a significant role in meeting that demand. But, he continued, "the reality is countries will continue to use fossil fuels to ensure that they meet basic power, transportation, and the industrial needs of their citizens." "If we are serious about eradicating poverty and providing universal access to affordable and reliable energy," he said, "it is clear that energy innovation and fossil fuels will continue to play an important role." Protesters chose that moment to interrupt the event&apos;s opening remarks with uproarious laughter. 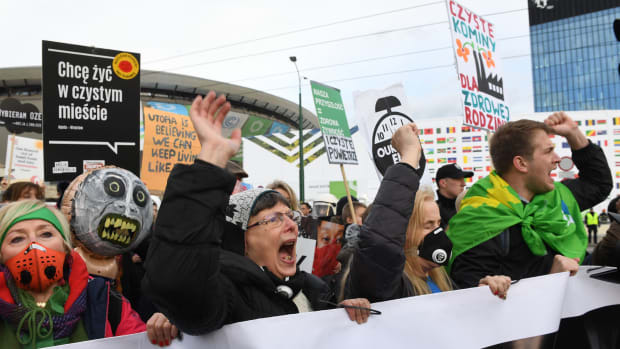 "These false solutions are a joke, but the impacts to our frontline communities are not," Aneesa Khan, the COP24 SustainUS delegation co-leader, yelled. "We hold the solutions and we know that we must keep it in the ground." Dozens of audience members stood up and began chanting "keep it in the ground," and unfurling a banner with the same phrase to block the panelists from view. 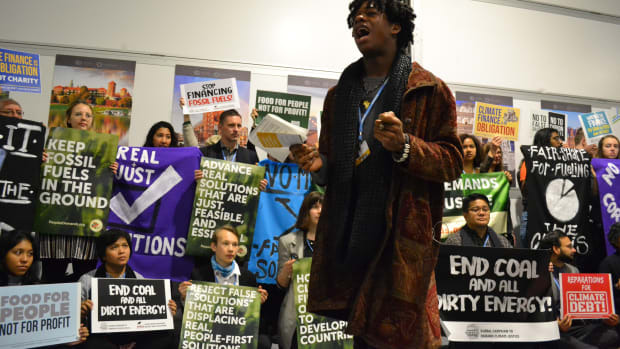 It&apos;s the second year in a row that U.S. officials attempted to host a side event promoting the use of fossil fuels, and the second year in a row that the event was interrupted by protesters. This year, youth climate activists passed the microphone around the room, sharing stories from the front lines of climate change: Leona Morgan spoke of the damage wrought by uranium mines on Navajo Nation; Khan talked about the unpredictable climate that now leaves her home in Chennai, India, wracked by alternating floods and droughts; Vic Barrett talked about the risk that inaction on climate change puts on the country&apos;s youth. "My government has betrayed me," Barrett said. "I&apos;m actually currently suing my government. I&apos;m suing them because they&apos;re perpetuating the global climate crisis. I&apos;m suing them because they are stealing the future that my immigrant mother got for me. We have urgency in our hearts, we have determination in our voices, and we will not let them fail us." The action concluded with the activists streaming out of the room chanting "shame on you" at the panelists. As the doors closed behind the last of the protesters, Griffith assured the downsized crowd that, in pursuit of economic growth and energy security, the U.S. will pursue all potential energy sources, "and they will be utilized unapologetically." The panel&apos;s speakers talked primarily about using incentives, such as tax breaks, as opposed to government mandates, to spur innovation in natural gas, carbon capture and storage technologies, and coal. Among those on the panel was Steven Winberg, assistant secretary for fossil energy at the Department of Energy. He said his agency is not just working to improve the "efficiency, resiliency, and competitiveness of existing coal-fired power plants," it is also investing in the next generation of coal plants. The Department of Energy has solicited designs for "high efficiency, near-zero emissions" coal plants, according to Winberg, and plans to provide research and development funding to what it deems as promising plans. Not just for the benefit of the U.S., he said, but "perhaps more importantly, also offer opportunities for developing countries to use tomorrow&apos;s coal technology to improve their energy security, and in many cases expand energy access to those who live without electricity." In addition to Winberg, the panel included Rich Powell, executive director of the ClearPath and ClearPath Action, a non-profit with a mission to "advance conservative policies that accelerate clean energy innovation," and Patrick Suckling, the Australian ambassador. 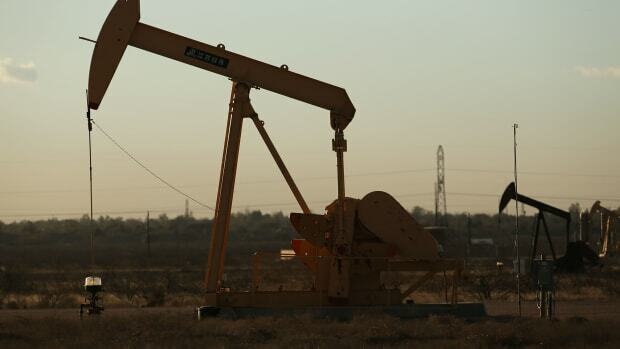 "I can say for the U.S. the policy is not to keep it in the ground," Griffith said of the country&apos;s various energy reserves, "it&apos;s to use it in a way that it is clean and efficient." Since taking office, the Trump administration has been systematically dismantling Obama-era climate regulations that would have limited carbon dioxide emissions and coal ash pollution, and, last week, the administration rolled back an Obama-era rule that required new coal plants to have carbon capture technology. "It&apos;s ludicrous for Trump officials to claim that they want to clean up fossil fuels, while dismantling standards that would do just that," Dan Lashof, the director of the World Resources Institute U.S., said in a statement.